Calvin is an undeniable addition to this family business, with his on-going education and true passion for the Plumbing and Heating Trade. Calvin graduated from George Brown’s Construction and Renovation program with honors. This course is designed with in-class theory and hands on experience taught by professors with real world experience. Covering Residential, Industrial, and Commercial applications, the basics of carpentry, masonry, plumbing and electrical systems were covered over a two-year program. Calvin then set his career goals towards hydronics, a skill hard to find in the current industry. He is now a fourth-year plumbing apprentice with two of the required three certifications completed, and over 8000 hours experience under his belt. In addition, he is a G3 licensed gas fitter, midway through upgrading to a G2 certification. 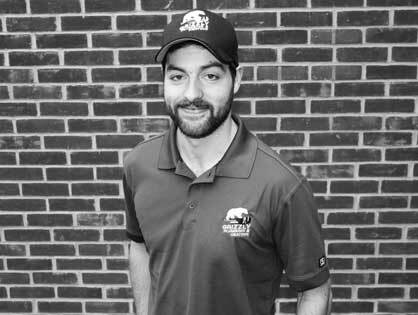 When not working, thinking and dreaming of Grizzly plumbing and Heating Inc, he enjoys spending time with his two dogs, reading, jogging, and biking. Calvin is a versatile employee with a hard work ethic who takes great pride in his work. He has continuously been regarded as a patient technician, who enjoys taking the time to answer any questions you may have about your heating or plumbing systems.